King Hedjkheperre Setepenamun Harsiese or Harsiese A, is viewed by the Egyptologist Kenneth Kitchen in his Third Intermediate Period in Egypt, to be both a "High Priest of Amun" and the son of the High Priest of Amun Shoshenq C. The archaeological evidence does suggest that he was indeed Shoshenq C's son. However, recent published studies by the German Egyptologist Karl Jansen-Winkeln in JEA 81(1995) have demonstrated that all the monuments of the first (king) Harsiese show that he was never a High Priest of Amun in his own right. Rather both Harsiese A and his son [...du] - whose existence is known from inscriptions on the latter's funerary objects at Coptos - are only attested as Ordinary Priests of Amun. Instead, while Harsiese A was certainly an independent king at Thebes during the first decade of Osorkon II's kingship, he was a different person from a second person who was also called Harsiese: Harsiese B. Harsiese B was the genuine High Priest of Amun who is attested in office late in Osorkon II's reign, in the regnal year 6 of Shoshenq III and in regnal years 18 and 19 of Pedubast I, according to Jansen-Winkeln. While Harsiese A may have become king at Thebes prior to Year 4 of Osorkon II, contra Kitchen, he certainly ruled Thebes during the first decade of Osorkon II's reign as Kitchen notes. Osorkon II's control over this great city is only first documented by 2 separate Year 12 Quay Texts which means that Harsiese had died by this time. If Harsiese was already ruling at Thebes earlier under Takelot I, it might help explain why Takelot I's own Year 5, Year 8, and Year 14 Nile Quay Texts, which mention the serving High Priests Iuwelot and Smendes III - who were all brothers of Takelot I - consistently omit any mention of Takelot's name, as Gerard Broekman aptly notes in a JEA 88(2002) article. Takelot I's name is left deliberately blank here. This might indicate a possible rivalry between Takelot I and Harsiese A at Thebes. The Amun Priests may have chosen not to involve themselves in this dispute by omitting any mention of the reigning king's name. Hedjkheperre Setepenre Takelot II Si-Ese was a pharaoh of the Twenty-second Dynasty of Ancient Egypt in Middle and Upper Egypt. He has been identified as the High Priest of Amun Takelot F, son of the High Priest of Amun Nimlot C at Thebes and, thus, the son of Nimlot C and grandson of king Osorkon II according to the latest academic research. Based on two lunar dates belonging to Takelot II, this Upper Egyptian pharaoh is today believed to have ascended to the throne of a divided Egypt in either 845 BC or 834 BC. Most Egyptologists today including Aidan Dodson, Gerard Broekman, Jurgen von Beckerath, M.A. Leahy and Karl Jansen-Winkeln also accept David Aston's hypothesis that Shoshenq III was Osorkon II's actual successor at Tanis, rather than Takelot II. Takelot II rather ruled a separate kingdom that embraced Middle and Upper Egypt, distinct from the Tanite Twenty-second Dynasty who only controlled Lower Egypt. Takelot F, the son and successor of the High Priest of Amun Nimlot C, served for a period of time under Osorkon II as a High Priest of Amun before he proclaimed himself as king Takelot II in the final three regnal years of Osorkon II. Takelot II controlled Middle and Upper Egypt during the final 3 Years of Osorkon II and the first 2 decades of Shoshenq III. The majority of Egyptologists today concede that king Osorkon III was the illustrious "Crown Prince and High Priest Osorkon B," son of Takelot II. A misunderstanding arose over his identity because in the Crown Prince's famous Chronicle, which was carved on the Bubastite Portal at Karnak, Osorkon dates his actions by both the regnal years of Takelot II (years 11 through 24) - with a short year 25 left unmentioned - and then by those of the Tanite king, Shoshenq III (from regnal years 22 through 29). While Kenneth Kitchen has interpreted this to mean that Shoshenq III succeeded Takelot II at Tanis, in fact Takelot II and Shoshenq III were likely close contemporaries because immediately after the death of his father in year 25 of Takelot II, Osorkon B started dating his activities to year 22, and not year 1, of Shoshenq III onwards. Consequently, there was never a two decade long break in Osorkon B's struggle to regain control of Thebes (from Year 1 to Year 22 of Sheshonq III) as Kitchen's chronology implies because year 25 of Takelot II is equivalent to year 22 of Sheshonq III. Osorkon B did not immediately ascend to his father's throne presumably because he was involved in a prolonged civil war with his rival Pedubast I and, later, Shoshenq VI, for control of Thebes. Instead, he merely dated his activities to the serving Dynasty 22 Pharaoh at Tanis: Shoshenq III. In Year 11 of Takelot II, an insurrection began under Pedubast I whose followers challenged this king's authority at Thebes. Takelot reacted by dispatching his son, Osorkon B, to sail southwards to Thebes and quell the uprising. Osorkon B succeeded in retaining control of the city and then proclaimed himself as the new High Priest of Amun. Some of the rebel's bodies were deliberately burned by Osorkon to permanently deny their souls any hope of an afterlife. However, just four years later, in year 15 of Takelot II, a second major revolt broke out and this time Osorkon B's forces were expelled from Thebes by Pedubast I. This caused a prolonged period of turmoil and instability in Upper Egypt as a prolonged struggle broke out between the competing factions of Takelot II/Osorkon B and Pedubast I/Shoshenq VI for control of Thebes. This conflict would last for 27 long years - from Year 15 to Year 25 of Takelot II and then from Year 22 to Year 39 of Shoshenq III when Osorkon B finally defeated his enemies and conquered this great city. Osorkon B proclaimed himself as king Osorkon III sometime after his victory. 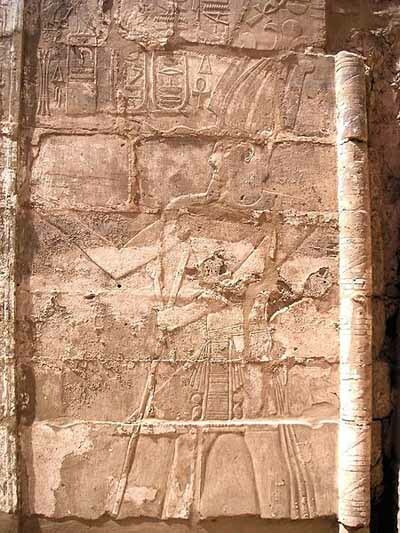 On other matters, the Chronicle of Prince Osorkon B, which is carved on the Bubastis Portal at Karnak, records Osorkon's activities between regnal years 11 and 24 of his father and then from regnal years 22 through 29 of Shoshenq III. However, Takelot II's brief 25th year is attested by a donation stela made by his son in his position as High Priest at Thebes shortly before Takelot died; it granted 35 aurourae of land to Takelot II's daughter, Karomama E. As of 2008, no tomb or final resting place has been found for Takelot. Shebensopdet (II). Married the Fourth Prophet of Amun Djed-Khons-ef-ankh. 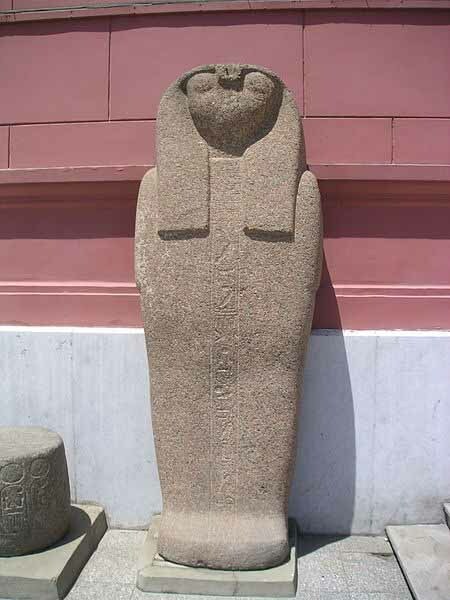 She is known from a statue now in the Cairo Museum (CG 42211). Pedubastis I or Pedubast I was an Upper Egyptian Pharaoh of Ancient Egypt during the 9th century BC. Based on lunar dates which are known to belong to the reign of his rival in Upper Egypt Takelot II and the fact that Pedubast I first appeared as a local king at Thebes around Year 11 of Takelot II's rule, Pedubast I is today believed to have had his accession date in either 835 BC or 824 BC. This local Pharaoh is recorded as being of Libyan ancestry and ruled Egypt for 25 years according to the redaction of Manetho done by Eusebius. He first became king at Thebes in Year 8 of Shoshenq III and his highest dated Year is his 23rd Year according to Nile Level Text No. 29. This year is equivalent to Year 31 of Shoshenq III of the Tanis based 22nd Dynasty of Egypt; however, since Shoshenq II only controlled Lower Egypt in Memphis and the Delta region, Pedubast and Shoshenq III were not political rivals and may even have established a relationship. Indeed, Shoshenq III's son, the general and army leader Pashedbast B "built a vestibule door to Pylon X at Karnak, and in one and the same commemorative text thereon named his father as king Sheshonq III" but dated his actions here to Pedubast I. This may show some tacit support for the Pedubast faction by the Tanite based 22nd dynasty king Shoshenq III. Pedubast I was the main opponent to Takelot II and later, Osorkon B, of the 23rd Dynasty of Libyan kings of Upper Egypt at Thebes. His accession to power plunged Thebes into a protracted civil war which lasted for nearly three decades between these two competing factions. Each faction had a rival line of High Priests of Amun with Pedubast's being Harsiese B who is attested in office as early as Year 6 of Shoshenq III and then Takelot E who appears in office from Year 23 of Pedubast I. Osorkon B was Pedubast I and Harsiese's chief rival. This conflict is obliquely mentioned in the famous Chronicle of Prince Osorkon at Karnak. Recent excavations by the University of Columbia in 2005 reveal that Pedubast I's authority was recognised both at Thebes and in the western desert oases of Egypt - at the Great Temple of Dakhla where his cartouche has been found. He was succeeded in power by Shoshenq VI. The richly inlaid torso from a bronze statue that originally depicted Pedubast I is today on permanent display in the Calouste Gulbenkian Museum in Lisbon, Portugal and is considered to be one of the great masterpieces of Egyptian Third Intermediate Period Art. This object was purchased by Calouste Gulbenkian on December 13-16, 1921 from Frederik Muller & Cie through the well-known art dealer Joseph Duveen. The Pedubast statue is extremely rare since it is one of the very few large sized bronze statues of Egyptian kings in existence and the only large surviving bronze one known for the Third Intermediate Period. The restored cartouches on the belt buckle and feather apron reads respectively as: "Usermaatre-Chosen-of-Amun, Pedubaste Son-of-Bastet-Beloved of Amun" and "King of Upper and Lower Egypt, Lord of the Two Lands, Usermaatre-Chosen-of-Amun, Son of Re, Lord of Diadems, Pedubastet-Son-of-Bastet-Beloved-of-Amun." This object's provenance is not known but it is first recorded as being in the collection of Count Grigory Stroganoff (1829-1910) - a member of the famous Russian family of connoisseurs and collectors - in 1880. Iuput I was a Pharaoh of Ancient Egypt, who was a co-regent with his father, Pedubast I, near the beginning of the 23rd dynasty. The exact dates of his reign are unknown. It started possibly around 815 BC, or alternatively in the final couple of years of his father's reign; one authority provides the dates ca 816-800 BC. Shoshenq VI is known to be Pedubast I's immediate successor at Thebes based upon the career of the Letter Writer to Pharaoh Hor IX, who served under Osorkon II and Pedubast I . Since Shoshenq VI's prenomen is inscribed on Hor IX's funerary cones, this indicates that Hor IX outlived Pedubast I and made his funeral arrangements under Shoshenq VI instead. His prenomen or royal name was 'Usermaatre Meryamun Shoshenq' which is unusual because it is the only known example where the epithet Meryamun (Beloved of Amun) appears within a king's cartouche. Shoshenq VI's High Priest of Amun was a certain Takelot who first appears in office in Year 23 of Pedubast I.
Shoshenq VI's Year 4 and Year 6 are attested in an inscription carved on the roof of the Temple of Monthu at Karnak by a certain Djedioh and in Nile Quay Text No.25 respectively. Shoshenq VI was presumably Crown Prince Osorkon B's chief rival at Thebes after the death of Pedubast I. He was defeated and ousted from power at Thebes in Year 39 of Shoshenq III by Prince Osorkon. In this decisive Year, Osorkon B explicitly states in Nile Quay Text No.7 that he and his brother, General Bakenptah of Herakleopolis, conquered Thebes and "overthrew everyone who had fought against them." Thereafter, Shoshenq VI is never heard from again. The old king Shoshenq IV in pre-1993 books and journal articles has been renamed Shoshenq VI by Egyptologists today because he was a Theban king who is only attested by Upper Egyptian documents. This monarch was never a ruler of the Tanite based 22nd Dynasty of Egypt. He was a Pharaoh for 6 years. Usermaatre Setepenamun Osorkon III Si-Ese was Pharaoh of Egypt in the 8th Century BC. He is the same person as the Crown Prince and High Priest of Amun Osorkon B, son of Takelot II by his Great Royal Wife Karomama II. Prince Osorkon B is best attested by his Chronicle - which consists of a series of texts documenting his activities at Thebes-on the Bubastite Portal at Karnak. He later reigned as king Osorkon III in Upper Egypt for twenty-eight years after defeating the rival forces of Pedubast I/Shoshenq VI who had apparently resisted the authority of his father here. Osorkon ruled the last five years of his reign in coregency with his son, Takelot III, according to Karnak Nile Level Text No. 13. Osorkon III's formal titulary was long and elaborate: Usermaatre Setepenamun, Osorkon Si-Ese Meryamun, Netjer-Heqa-waset. Osorkon III's precise accession date is unknown. Various Egyptologists have suggested it may have been from around the mid-790s BC to as late as 787 BC. 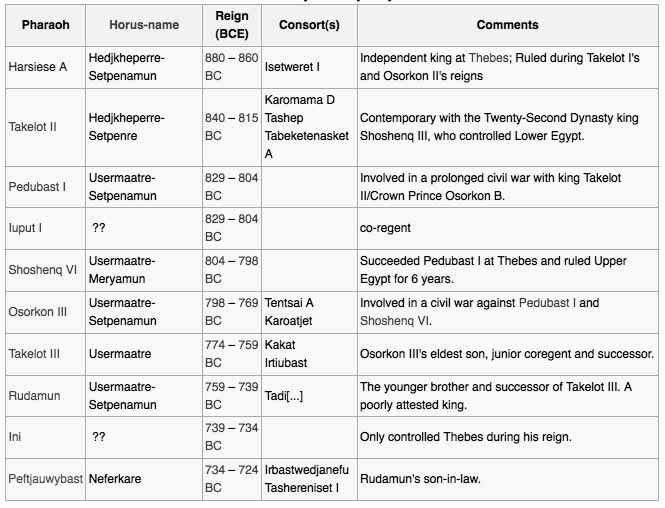 The issue is complicated by the fact that Prince Osorkon B did not immediately declare himself king after his successful conquest of Thebes and defeat of Shoshenq VI. This is evidenced by the fact that he dated this seminal event to Year 39 of Shoshenq III rather than Year 1 of his reign. Osorkon III may, therefore, have waited for a minimum of one or two years before proclaiming himself as a Pharaoh of the Theban-based 23rd Dynasty. Osorkon may also have been motivated to defeat or pacify any remaining supporters of the Pedubast I/Shoshenq VI rival faction in other regions of Upper Egypt whether they were in Elephantine, the Western Desert Oasis region - where Pedubast I is monumentally attested - or elsewhere in order to consolidate his position. Hence, Year 1 of Osorkon III is likely equivalent to Year 1 or Year 2 of Shoshenq IV instead, rather than Year 39 of Shoshenq III. Osorkon III is attested by numerous impressive donation stelae and stone blocks from Herakleopolis Magna through to Thebes. He is generally thought to have been a contemporary of the Lower Egyptian 22nd Dynasty kings, Shoshenq IV, Pami, and the first decade of Shoshenq V's reign. Osorkon III's chief wife was Queen Karoadjet but his second wife was named Tentsai. A stela of Prince Osorkon B calls his spouse Tent ... with part of the name being lost. The latter name can be rendered as either Tentsai or Tentamun. Significantly, however, both men have a daughter called Shepenupet. Secondly, according to Anthony Leahy and Karl Jansen-Winkeln, an important donation stela discovered in 1982 at reveals that Osorkon III was once a High Priest of Amun in his own right. The document explicitly calls Osorkon III, the High Priest of Amun. Osorkon III, thus, was almost certainly the High Priest Osorkon B, who defeated his father's opponents at Thebes in Year 39 of Shoshenq III, as Leahy notes. Osorkon probably lived into his eighties, which explains why he appointed his son Takelot as the junior coregent to the throne in his final years. He would have been in failing health by this time. 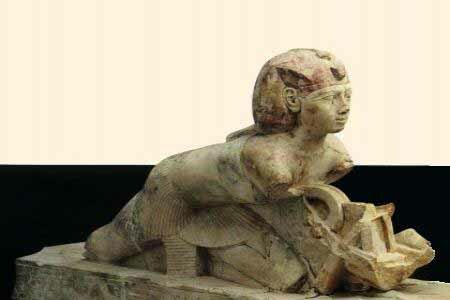 Osorkon III's coregency with Takelot III is the last attested royal coregency in ancient Egyptian history. Later dynasties from Nubia, Sais, and Persia all ruled Egypt with a single king on the throne. Karnak Nile Level Texts No. 6 and 7, dated to Year 5 and 6 of Osorkon III, calls his mother the "Chief Queen Kamama Merymut." Similarly, Prince Osorkon B's mother was identified as Queen Ka mama Merymut II, wife of Takelot II. The slightly different renderings of this Queen's name almost certainly refers to the same person here: Osorkon B/III. According to Kenneth Kitchen, Osorkon III's chief consort, Queen Karoadjet, was the mother of Shepenupet I, the God's Wife and Divine Adoratrice of Amun, while his lesser wife Tentsai was the mother of Osorkon III's two sons: Takelot III and Rudamun. Shepenupet I outlived both her half-brothers as the serving God's Wife of Amun at Thebes and survived into the reign of the Nubian ruler, Shebitku, where she is depicted on the small temple Osiris-Heqa-djet in the Amun precinct of Karnak, which was partially decorated by this king. Usimare Setepenamun Takelot III Si-Ese was Osorkon III's eldest son and successor. Takelot III ruled the first five years of his reign in a coregency with his father and served previously as the High Priest of Amun at Thebes. He was previously thought to have ruled Egypt for only 7 years until his 13th Year was found on a stela from Ahmeida in the Dakhla Oasis in 2005. Takelot III served the first 5 Years of his reign as the junior coregent to his father according to the evidence from Nile Quay Text No.14, which equates Year 28 of Osorkon III to Year 5 of Takelot III. He succeeded his father as king in the following Year. Takelot is attested by several documents: a donation stela from Gurob which calls him "The First Prophet of Amun-Re, General and Commander Takelot," a stone block from Herakleopolis which calls him 'the Chief of Per-Sekhemkheperre' and king's son by Tentsai, Quay Text No.13 which equates Year 5 of Takelot III to Year 28 of Osorkon III and Quay Text No.4 which records his Year 6. A graffito on the roof of the Temple of Khonsu which records his Year 7, was long believed to be his Highest Year date. However, in February 2005, a hieratic stela from Year 13 of his reign was discovered by a University of Columbia archaeological expedition in the ruins of a Temple at the Dakhla Oasis. The stela belongs to a group of finds documenting the temple of the God Thoth...[in the western part of the Dakhla Oasis]...during the Third Intermediate Period. One block of temple decoration was found in the name of king Petubastis (I), and the stela under discussion was set up in the temple to which this block belonged. The stela's principal text has five lines, in which the date of the stela is given as Year 13 of Takeloth III (c. 740 BCE), as well as the name of the god Thoth of SA-wHAt, the local deity. The stela records a land donation to the temple on the part of the local governor, chief of a Libyan tribe, and it concludes with a list of eleven priests who are beneficiaries of this donation....Another donation stela erected by the same governor is known from the temple of Seth in Mut (Dakhleh). The governor mentioned here is Nes-Djehuti or Esdhuti who appears as the Chief of the Shamin Libyans in both the aforementioned Year 13 stela of Takelot III and also in the Smaller Dakhla Stela. The smaller Dakla stela dates to Year 24 of the Nubian king Piye. This means that Takelot III and Piye were near contemporaries during their respective reigns. It might suggest that an important graffito at Wadi Gasus - which connects Year 19 of a local Theban ruler to Year 12 of a Nubian king-equates Year 19 of Takelot III (rather than Rudamun) to Year 12 of Piye. This graffito would have been carved prior to Piye's conquest of Egypt in his 20th Year - by which time both Takelot III and Rudamun had already died. However, new evidence on the Wadi Gasus graffito published by Claus Jurman has now redated the carving the famous Wadi Gasus graffito to the 25th dynastic Nubian period entirely (rather than to the 23rd dynastic Libyan era) and demonstrates that they instead pertain to Amenirdis I and Shepenupet II based on palaegraphic and other evidence at Karnak rather than the Libyan Shepenupet I and the Nubian Amenirdis I.
Jurman notes that no evidence from Karnak show Shepenupet I associated with Piye's daughter, Amenirdis I. The graffito were written in 2 separate handstyles and the year date formulas for '12' and '19' were also written differently which suggests that they are unlikely to have been composed at the same time. This means that the Year 19 date cannot be assigned to Takelot III and, instead, likely belongs to the Nubian king Taharqa instead. Frederic Payraudeau once noted that Takelot III likely ruled Egypt for a minimum of 14 Years and was presumably the unknown Year 19 Egyptian monarch recorded at Wadi Gasus. He based his interpretation on the evidence of Papyrus Berlin 3048, the only surviving administrative document on papyri for the entire Libyan period. This document, which is explicitly dated to Year 14 of a Takelot Si-Ese Meryamun (i.e. : either Takelot II or III), records a Marriage Contract which was witnessed by Vizier Hor, and 2 Royal Treasurers: Bakenamun and Djedmontuiufankh respectively. The papyrus has traditionally been assigned to Takelot II since this ruler's Highest Date is his Year 25 whereas Takelot III's highest unequivocal date was only thought to be his Year 7. The author, observed 3 pieces of evidence which, taken together, could have supported the attribution of this papyrus to Takelot III instead. Firstly, Frederic stressed that P. Berlin 3048 specifically mentions two Royal treasurers. The fact that 2 treasurers served Pharaoh at the same time is inconsistent with the known facts for the period from the reign of Osorkon II until the early years of Osorkon III at Thebes when only a single person from one influential family served in this office. They were the descendants of Djedkhonsuiufankh A, who was the Fourth Prophet of Amun under Takelot I: Nakhtefmut A, Harsiese C and Djedkhonsuiufankh C. Djedkhonsuiufankh A's son, Nakhtefmut A, first assumed the office of Royal Treasurer under Osorkon II; then Nakhtefmut A's son, Harsiese C, in turn succeeded him (likely under Takelot II). Finally, Harsiese C's son, Djedkhonsuiufankh C, occupied this office from the end of Takelot II's reign until the early years of Osorkon III's reign under whom he is attested. Since three direct descendants of one powerful family held the office of Royal Treasurer in the period around Takelot II's reign, it is unlikely that Djedmontuiufankh could have intervened in office as early as Year 14 of Takelot II since he was not even connected to this family. Hence, the only other viable candidate for Djedmontuiufankh's master is Takelot III for whom no Royal Treasurer is known with certainty. Secondly, the Vizier Hor who is mentioned in Papyrus Berlin 3048 was thought to be the same person who is named as the father of Vizier Nebneterou in several Nubian and Saite era genealogical documents. This also makes it far more plausible that P. Berlin 3048 belongs to Takelot III since Hor would have served as Vizier only a few years prior to the start of the Nubian Dynasty in Egypt under Piye and would explain his son's later attestations in Nubian and Saite documents. In contrast, Takelot II died long before Piye conquered Egypt in his 20th Year. Finally, the author noted that the Royal Treasurer Djedmontuiufankh, son of Aafenmut II, lists his family genealogy on the opposite side of this papyrus. An Aafenmut, a scribe of the Chief Treasurer, was buried under Osorkon I (bracelets on his Mummy bore this king's prenomen). Frederic notes that an identification of this person with one of the listed predecessors of Djedmontuiufankh is certain here since this person functioned as a 'scribe of the Treasury' - a state office with which Djedmontuiufankh's family was intimately linked with. However, this Aafenmut was probably Aafenmut I rather than Aafenmut II, Djedmontuiufankh's father, since this person's son could not lived beyond three family generations (under Takelot I, Osorkon II and the High Priest Nimlot C) from the reign of Osorkon I into Year 14 of Takelot II, as the author notes. Frederic also highlights the existence of the funerary stela of a certain Harsiese, son of Merkhonsu, which was found at the Ramesseum and has been stylistically dated to the 9th Century BC in the period around Takelot I or Osorkon II's reign to support his hypothesis that both Aafenmut I and Merkhonsu were direct ancestors of Djedmontuiufankh. As an aside, the author believed that Nile Quay Text No.45 - which, according to Gerardus Broekman in JEA 88(2002), records either Year 17, 18 or 25 of an anonymous Theban king who ruled after Shoshenq III - may perhaps be ascribed to Takelot III based on the evidence of Papyrus Berlin 3048. Since Year 13 of Takelot III is now attested, it was possible that the Year 14 date in this document also belongs to his reign, rather than Takelot II. However, Frederic Payraudeau has now since changed his views here and instead assigns this papyrus to Takelot II instead based on the mention of a certain Harsiese - designated the fourth prophet of Amun - in this document who is known to have served in office during king Takelot II's reign. This means that Takelot III's highest date is his 13th year. The fact that the chief of the Shamin-Libyans, a Nes-Djehuti, is attested in the same office in both Year 13 of Takelot III and Year 24 of Piye also shows that the interval between these two king's dates was close in time and it is unlikely that Takelot III ruled Egypt for 19 years since his brother Rudamun succeeded him at Thebes and Rudamun, in turn, was succeeded in this city by king Ini who ruled here for at least 5 years before Thebes fell permanently under Kushite control during Piye's reign. Takelot III was the husband of Irtiubast who is named "as a King's Daughter on the coffin of their son, Osorkon G." He was ultimately succeeded in power by his younger brother Rudamun, who was another son of Osorkon III rather than by any of his 3 known sons: the Prince/High Priest Osorkon F, a Prince Ihtesamun who is known from the stela of his grandson Ankhfenmut in Croydon Central Library and, finally, the Second Prophet of Amun, Djedptahefankh D who is attested in statue Tubingen 1734 and in stela CG 41006 of his great-granddaughter Nakhtbasteru. This development suggests that Takelot III must have reached an advanced age to have outlived all of his sons since it was unusual for a brother of a king to assume the throne if the king still had a son who was living. Traditional Egyptian custom required that the son of a king directly succeed his father. He was the younger son of Osorkon III, and the brother of Takelot III. He is a poorly attested pharaoh of this dynasty according to Kenneth Kitchen's seminal book on The Third Intermediate Period of Egypt. Kitchen credits him with a brief reign of about two to three years due to the few contemporary documents known for him. These include a small amount of decorative work done on the Temple of Osiris Heqadjet, several stone blocks from Medinet Habu, and a vase. In recent years, two fragments of a faience statuette bearing Rudamun's name from Hermopolis have been discovered. This recent discovery suggests that Radamun managed to preserve the unity of his father's large kingdom in Upper Egypt ranging from at least Herakleopolis Magna to Thebes during his brief reign. Some Egyptologists such as David Aston have argued that Rudamun was the anonymous Year 19 king attested at Wadi Gasus. However, new evidence on the Wadi Gasus graffito published by Claus Jurman in 2006 has now redated the graffito to the 25th dynastic Nubian period entirely (rather than to the Libyan era) and demonstrates that they pertain to Amenirdis I and Shepenupet II based on paleographic and other evidence at Karnak rather than the Libyan Shepenupet I and the Nubian Amenirdis I.
Jurman notes that no monumental evidence from the Temple of Osiris Heqadjet or Karnak depict Shepenupet I associated with Piye's daughter, Amenirdis I. Another alternative that the Year 19 Wadi Gasus ruler was a certain Shoshenq VII, a new unknown ruler, was proposed by G. Broekman in a paper based on Nile Level Text No. 3 which is dated to Year 5 of a Theban king who ruled after Osorkon III. However, there are serious doubts among scholars as to whether Nile Level Text No. 3 contained the nomen Shoshenq rather than Takelot. Jean Legrain, who had the first opportunity to survey the Karnak Quay Texts did not read any royal nomen in this inscription - from his 1898 publication of the Quay Texts - since the stone had already been badly eroded. The stone would have been in even worse condition when Von Beckerath inspected the document in 1953 and assumed the surviving traces on the Text No. 3 referred to a king Shoshenq, rather than a Takelot. 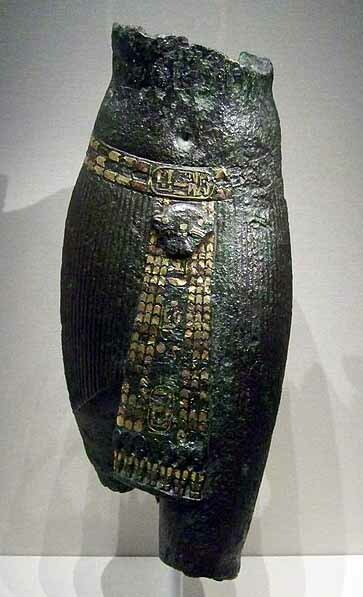 Ini was a king at Thebes, Egypt, during the 8th century BCE. "Engraved on a bronze plaque in Durham (N 2186) is the cartouche of the 'Son of Re Iny'. This is surely the same individual as the 'Pharaoh Iny' known from Graffito no 11 of the Temple of Khonsu (AEB 79244) where his Vth year is cited. 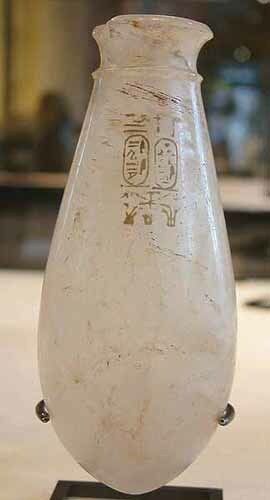 A shard (now lost) from Amelineau's work at Abydos bears perhaps another reference to the same king. H. Jacquet-Gordon has shown that the accession of this enigmatic king can be dated c. 780/770 BC or 753/743 BC (calculated here from Table 6 in AEB 86.0470). There exists, however no epigraphic evidence that to prove that the king Mn-hpr-R' [...]y of the famous poetic stele Louvre C100 and of the calcite jar Cairo CG 18498 is in fact the Kushite Pi['ankh]y (so AEB 69061); on the contrary, the reconstruction [In]y is perfectly acceptable here. Some remarks ensue concerning the use of 'imperial' and old-fashioned royal titularies, and also archaizing bas-reliefs, during the late TIPE. In this context, the titulary of Iny, which is formally archaizing, can be seen as expressing an ambitious project ... two very unusual epithets of Iny - 'Creator of the Arts' and 'Multiplier of...Warriors' - could also suggest a 'Revolutionary' aspect held by this figure, who was apparently an outsider amongst the Theban 'Sons of Isis Beloved of Amun" of the 23rd Dynasty. Yoyotte's proposed identification of Menkheperre as the prenomen of King Ini/Iny, was based on his examination of the surviving traces of this king's nomen in the Louvre stela which he believed conformed better with the name Iny than the Nubian Dynasty 25 ruler Pi(ankh)y/Piye. His arguments here are today accepted by virtually all Egyptologists including Jurgen von Beckerath in the latter's 1999 book on royal Egyptian king's names. It had been previously suggested that Menkheperre was a prenomen or royal title for Piye but this is undermined by the fact that the Nubian king is known to have employed two other prenomens during his lifetime: Usimare and Sneferre. Whoever Ini was, he was only a local king of Thebes who ruled Egypt concurrently with Peftjaubast of Herakleopolis and Nimlot of Hermopolis. Ini may have been deposed around Piye's Year 20 invasion of Egypt since he does not appear in the latter's Year 21 Gebel Barkal Victory stela, but this hypothesis remains to be proven because Piye could well have permitted Ini to remain in power as a local king of Thebes. In this case, Ini would have been a Nubian vassal in Thebes. Evidence to this effect includes the name of king Ini's daughter, Mutirdis, and the style of Louvre stela C100 which Kenneth Kitchen long ago noticed should be dated to the early 25th Nubian Dynasty period. his would justify the view that Graffito No.11 was carved not long before the establishment of full Kushite dominion over Egypt by Shabaka who would not have tolerated a native Egyptian king in the important city of Thebes which would pose a threat to the authority of the 25th Nubian dynasty.